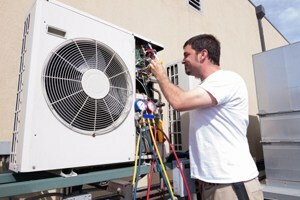 Living in the Oviedo area, you know that you need excellent working, reliable air conditioning. The temperatures combined with high humidity can become overwhelming even for the heartiest person. This is when it’s great to have the phone number handy for the air conditioning repair in Oviedo that has been trusted for over 25 years. 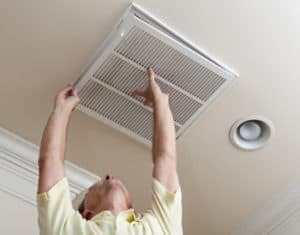 DC/AC AirConditioning & Heating is the expert air conditioning repair and installation service provider to have on speed dial for times of emergency, or simply to keep everyone comfortable. Chances are that your air conditioning will go out at the most inopportune time. But you can relax knowing that the Oviedo AC Repair you rely on is always ready to help. 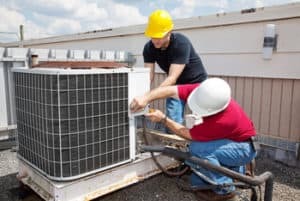 We’ll visit your home or business quickly, do a complete evaluation of your system, analyze your repair or replacement needs, and get to work quickly restoring your valuable air conditioning to pristine condition. There’s not a minute to waste when temperatures soar! DC/AC Air & Heat keeps an excellent, A+ reputation with the Better Business Bureau. You can rest assured knowing that you’re getting your AC service from a reputable, reliable and knowledgeable AC service provider. All of our professional technicians are fully bonded, insured and licensed for extra reassurance. Our professional tenets of integrity, honesty, fairness and attention to exacting detail have served us well and have helped us to become the AC Service Oviedo trusts for all its air conditioning installation and repair needs. When our technician shows up to do your air conditioning servicing, repair or installation, you’ll have full confidence in our abilities. Contact DC/AC AirConditioning & Heating today for a free estimate. Call (321) 436-6595. Today’s AC systems feature some exceptional benefits like energy savings and cost efficiency. Many of them are also eco-friendly so you’ll leave less of a carbon footprint. Everyone loves being able to stay cool and save money at the same time. Knowing that you’re also running a system that is friendly to our environment is a nice bonus. Your expert Oviedo air conditioning service technician can also go over all the latest energy efficiency ratings, which can help you to get a good understanding of just how much money you could save on energy bills. Your technician will also let you know about ways that you can best use your system to see the best benefits. The AC Service Oviedo has relied on for over 25 years, DC/AC AirConditioning & Heating, is proud to help you save money and to help keep our environment cleaner for the future. In addition, our technicians believe in principles like delivering all service with honesty, integrity and straightforwardness and always striving for 100 percent customer satisfaction. It’s these beliefs that keep us at the top of our game and have caused us to receive an A+ Better Business Bureau rating, along with being named a Best AC Company by the Orlando Sentinel Best Bets in 2017. Accolades and awards are nice, but it is the heartfelt smiles we receive from our satisfied customers and the true appreciation we see that keeps us striving for excellence. 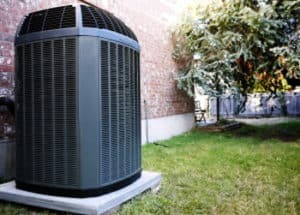 Residential and commercial AC repair in Oviedo FL comes to you directly from the experts at DC / AC Air Conditioning and Heating as it has for over 25 years and counting. We hope to stay your partners in providing comfort for you and for your loved ones. A simple phone call is all you’ll need to have one of our service experts come out and evaluate your unique situation. From there we’ll let you know what needs to be done to fix your current system, or what systems are available today if you should need a new one. Thousands of satisfied customers in the Oviedo area have relied on us to get back to having a cool and comfortable home or place of business once again. Our biggest reward is the satisfaction of our customers. We love it when they’re so happy with the service they received that they recommend us to friends, family and co-workers. We strive for 100 percent satisfaction with your Oviedo AC Repair, and we’ll continue to work hard to keep earning your trust.